If you’re like many Americans, then you’re already planning trips and scheduling paid time off throughout the year. Maybe you’ll be heading to the heart of New Orleans in March for Mardi Gras, or perhaps you’ll be going somewhere tropical in the summer. No matter where your travels take you, it’s important to consider who will watch your dog while you’re away. 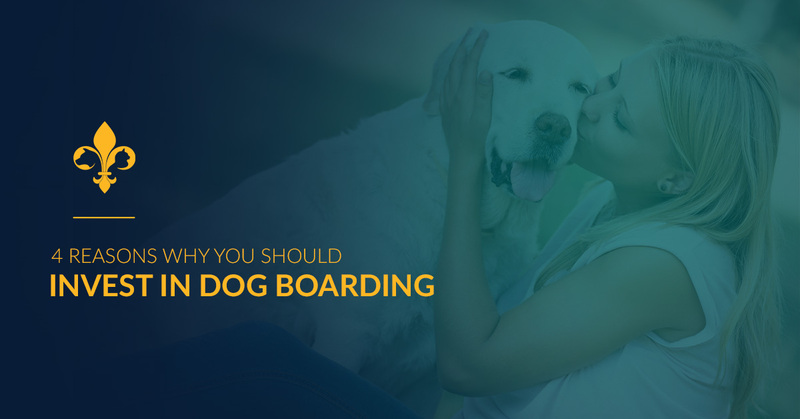 In today’s entry, we’ll look at just a few of the many reasons why dog boarding with Clearview Veterinary Hospital is a great idea. 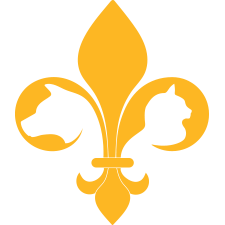 If you need dog boarding in Metairie, then visit this page or get in touch with our office to learn more. Read on to learn why you should bring your furry friend to us! As a dog owner, you’re acutely aware of how much attention your pup needs throughout the day. You probably take them for a walk at least once each day, and your work may even be close enough that you can spend time with them on your lunch break. If you hire a pet sitter to come to your home, then they may only stay there to feed your pet, let them out to use the bathroom, and perhaps give them a quick walk around the block. This means that the majority of your dog’s day is spent alone, and this can lead to severe separation anxiety and depression. One major advantage of coming to Clearview Veterinary Hospital for dog boarding is that we ensure that your dog receives the loving attention they need throughout the day. We provide them with daily walks, exercise, and playtime with other dogs who are also vacationing with us. You can enjoy your time away knowing that your dog is having just as much fun as you are! Many pet owners choose to hire a pet sitter so that their dog can remain at home while they’re away, but they often forget that having an unfamiliar person around can be extremely uncomfortable for their pet. Moreover, the person you hire may not know how to deal with an anxious pet, and they could end up making your animal even more uncomfortable. As experienced veterinarians, we know how to read your dog’s body language and provide them with the compassionate care they deserve. We’ve dealt with many different breeds and temperaments, and you can rest assured that we’ll work to make your furry friend as comfortable as possible while they’re in our care. 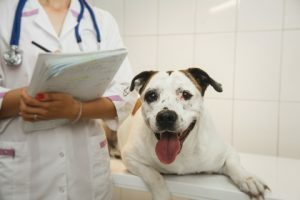 Perhaps the most important benefit of dog boarding is that your animal will have access to on-the-spot veterinary care, should they require it in your absence. You might worry about an emergency occurring in your absence, and if the person you hired will be able to handle the situation. When you bring your pet to us, you can enjoy your time away knowing that your pet is under the same roof as our experienced veterinarians. 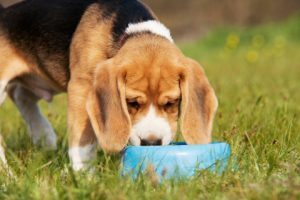 You may also have an older animal who needs to be medicated and given extra attention throughout the day, and the average pet sitter may not be up to the task. We can feed your pet special food, give them medication, and cater to any special needs they may have. What’s better than seeing your pet when you return from vacation? Having them cleaned and smelling fresh! We offer complimentary baths for all of our canine guests who stay for more than five nights, ensuring that they feel as refreshed as you do when their vacation comes to an end. You can also purchase a bath for your pup if they’re staying with us for fewer than five days. Just get in touch with us to learn more information! We hope that today’s post will inspire you to board your pet with us during your next vacation. Whether you’re going out of town for a few days, or you’re heading across the country for a much-needed vacation, you can fully enjoy your time away knowing that your furry friend is in capable, compassionate hands. Keep an eye on our blog page, as we’ll continue to post even more information about our veterinary and pet boarding services in the coming weeks and months. Fill out the form below or call our office to learn more! We look forward to speaking with you.